Due out on November 6. 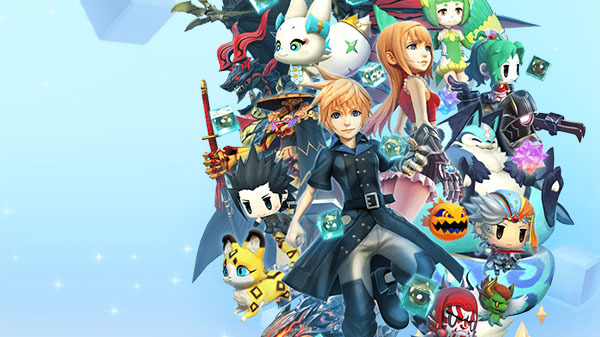 Square Enix has announced World of Final Fantasy Maxima, an enhanced version of the original World of Final Fantasy. It will launch worldwide for PlayStation 4, Xbox One, Switch, and PC via Steam on November 6. With charming and stylized visuals, you can capture, customize and evolve iconic creatures by stacking them to form adorable yet strategic monster towers. Point 1: Become a Final Fantasy Hero and Fight! – Lann and Reynn can transform into the characters of successive Final Fantasy titles and battle, and activate the dedicated abilities of each character. In addition to the legendary characters that have appeared thus far, new legends will also appear…! Point 2: New Mirages – Unique new Mirages will also appear in Maxima. Certain characters from older Final Fantasy series titles will even appear as Mirages. Point 3: Go Fishing with Noctis! – A new mini-game where you can fish with Final Fantasy XV protagonist Noctis has been added. The mini-game has its own dedicated background music. Watch the first footage below (0:58 to 1:21). View a set of screenshots at the gallery.